distribution Mainly in the upper half of the Coastal Plain, and very widely scattered across the entire Piedmont and southern mountains. Absent from the eastern part of the Coastal Plain, and seemingly absent from the northern half of the mountains. abundance Rare to locally uncommon in the Coastal Plain portion of the range, very rare (now) to rare and quite local in the Piedmont, and very rare in the mountains. flight In the Coastal Plain, early June to early September. Upstate, records fall between early July and late August, though it might be expected in June in the Piedmont. habitat Rivers with a moderate to rapid current and various substrates, for breeding. Recent records have been along fairly slow-moving brownwater rivers (i.e., Yadkin, Roanoke, Tar, and Cape Fear). behavior Perches on leaves or other vegetation close to the streams and rivers. Males can be seen patrolling up and down rivers. Males, at least, are rather unwary (compared to other Stylurus species). comments Though there are records from about 65-70% of the geographic area of NC, there are only 20 county records, implying a scarce species that is poorly known. Steve Hall and Harry LeGrand found the species on several occasions in summer 2012 along the Roanoke River, where photos from Bertie and Northampton counties established new county records and thus first records for the Roanoke River floodplain. Mark Shields saw two males patrolling up and down the Cape Fear River in Harnett County in 2017; and Mike Turner found one along the Tar River in Edgecombe County, also in 2017. A major "colony" was located by Richard Stickney in 2018 along a stretch of the Yadkin River in Surry and Yadkin counties, where he counted a remarkable 13 individuals in a single day. Mike Turner found the species along this same river farther downstream in Forsyth County in 2018. The species seems to be in decline in the Piedmont and mountains, where these Yadkin River sightings and photos are our only recent records. 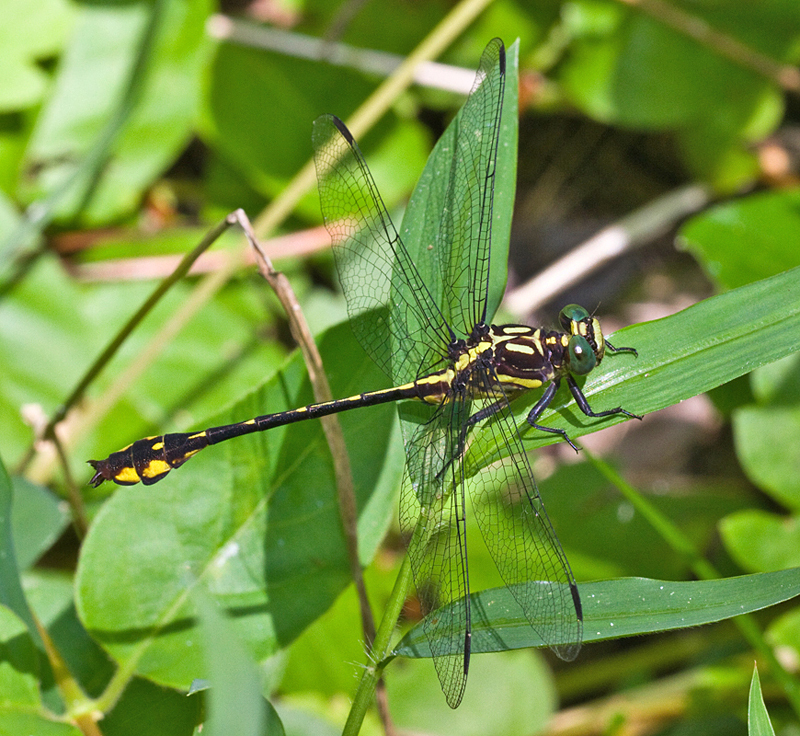 However, the species could be overlooked as a Black-shouldered Spinyleg unless carefully photographed or observed.